DreadBall Second Edition – the fast-paced, futuristic sports game – is available to pre-order now from Mantic, ahead of its retail release on March 19th. The Second Edition introduces new teams, re-balanced stats and streamlines the rules to make it more action-packed than ever. The boxed game comes with 29 miniatures (including two teams with 12 players each), a double-sided game board and rulebook to get you started in the game. What’s more, those who pre-order the game from the Mantic website before March 19th will receive a free, limited edition Blaine MVP! After March 19th, Blaine will become a show exclusive miniature. Also available to pre-order now is the DreadBall Second Edition Collector’s Rulebook. This mighty 210-page tome is perfect for the experienced DreadBall player, as it contains rules for all the existing DreadBall teams, along with rules for giants, leagues and more. This will be a limited print run, so once it’s gone, it’s gone! Talking of existing players, if you fancy picking up two brand new teams, then look no further than the Matsudo Tectonics and the New Eden Revenants. The Tectonics are a team of honourable space lizards that might play by the rules but don’t mind getting stuck in when it counts. Meanwhile the New Eden Revenants are a collection of famous DreadBall players brought back from the dead. They may be slow but they’re hard to stop! 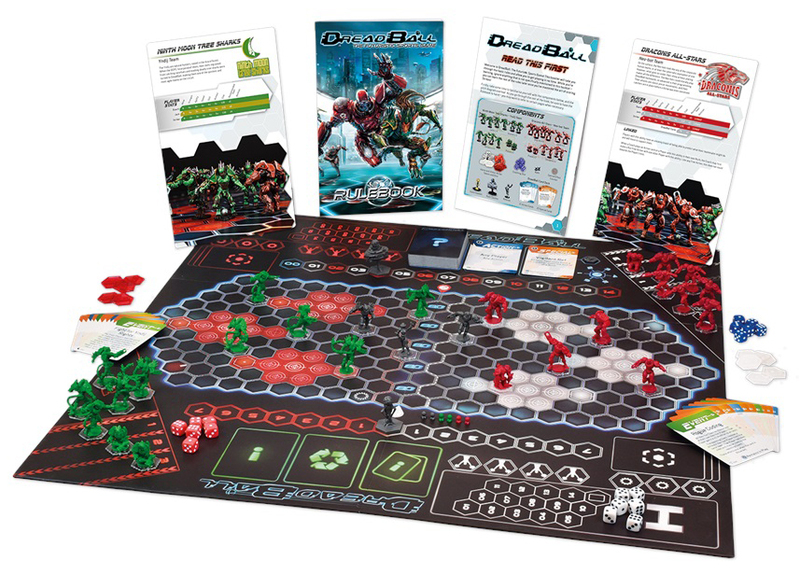 Finally, if you want to add a little random fun to your games, then the DreadBall Event Deck is the perfect option. This set includes 26 Event Cards that trigger a range of wild events, like exploding balls, malfunctioning machinery and rioting fans. Mix these into the standard DreadBall deck and no two games will ever play the same! Plus, the Event Deck comes with the special resin Elmer & Dobbs card stand. Slot the current Event Card behind the commentators to make sure you’ll never miss any special effects. All these products are available to pre-order now from the Mantic website or your local game store. They are due to launch on March 19th. Pandemic Season 2 Now Available! Experience the tension and pulse pounding thrills of a new year of surprises, setbacks, and fleeting victories. Take part in an ever-evolving story filled with shocking twists and dramatic revelations. Play out your own story. When it’s all over, only one thing is certain: The world will never be the same again. Pandemic Legacy: Season 2 is now available. Your mission to save humanity begins today! The standalone follow-up to one of the most critically-acclaimed games of all time, Pandemic Legacy: Season 2 combines an engrossing storyline with an immersive campaign to create an experience unlike any other. You and up to three friends enter a world devastated by a terrible plague and quickly get swept up in a struggle that will determine the fate of humanity. To survive, you must work together, utilizing your unique abilities to keep the world going while searching the globe for information about the plague. As you do, a harrowing tale of survival unfolds on your tabletop. Each passing month brings new twists and turns as you overcome obstacles and unlock new challenges. Progressing through the story and meeting certain conditions grants you access to eight sealed packages and six top secret dossiers filled with additional components, rules, and hidden information. Each new piece expands your game and can take it in bold new directions. Z-Man Games is excited to announce the upcoming release of Pandemic Legacy: Season 2, the standalone follow-up to the critically-acclaimed and best-selling Pandemic Legacy: Season 1. A cooperative legacy game for two to four players, Pandemic Legacy: Season 2 immerses players in a harrowing tale of survival. 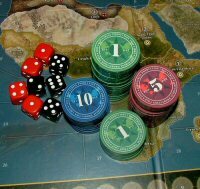 It is seventy-one years after the events of Pandemic Legacy: Season 1, and humanity has been brought to its knees. A network of the last known cities persists, supplied by the “havens,” isolated stations floating in the ocean far from the plague. Three generations of survivors have called the havens home. Most of them have never set foot on the mainland. But now supplies are running low and the people have turned to you to lead. It is up to you to save what remaining cities you can and stop the world from ending for good. Pandemic Legacy: Season 2 offers a dynamic experience that sweeps players up in a desperate fight for survival. Having grown up on the havens, the mainland is largely a mystery to you. But now you must travel there to maintain the grid of remaining cities and explore the areas of the world that have fallen dark. This task will not be easy. The plague has hit the mainland hard and there is no hope of developing a cure. The cities that remain need the supplies you provide to keep hanging on. Pandemic Legacy: Season 2 presents a unique spin on the classic Pandemic formula. The City, Epidemic, and Event cards all return, but instead of removing Disease cubes from the board, you must now add Supply cubes to ward off the plague.